Yer Secret Santa sent you 3 years of bakky floor sweepin's? Hope there was a cool tamper with it. I believe he sent me the cumulative left overs from what he was smoking through out the year. It has a nice strong Latakia note and some Oriental flavors. It is a kind of Balkan blend. A relaxing and smooth smoke. I wish he had the specific recipe...I would re-make it for regular use. McClelland's Arcadia this morning, and getting ready to fire up another one for afternoon client calls. I find this blend exceptional. It is the best balanced English blend I have ever smoked. It's pretty sad I just opened this tin and there are no more to be had. Yep. I am down to 2 tins myself. You have a dual citizen pipe? So I popped a tin of Old Gowrie. About to fire it up in the Savinelli 311. First time smoking this blend. 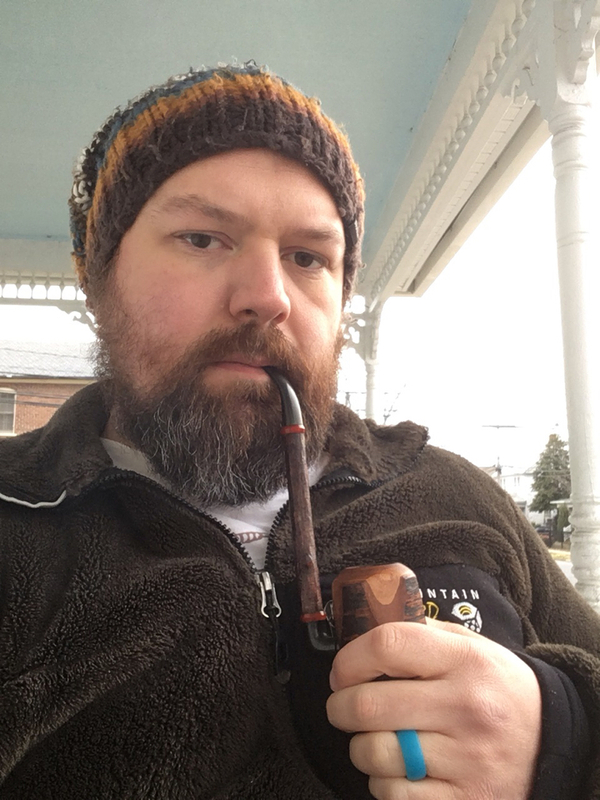 Gawith, Hoggarth & Co. - bulk Brown Flake unscented in the giant Viprati Oom Paul.